What if I told you that global conferences none of us were invited to have Slideshares available laying out “By transforming individual conceptual systems, we can change society?” All of a sudden all that emphasis on New Kinds of Thinking and stipulating the desired categories of thought and, even in the US, making annual assessment of those ‘Higher Order Thinking Skills’ a federal mandate for virtually all students, begins to make sense. Transformation plans need malleable citizens either unaware of the plans for them or eagerly on board. There was a meeting in October 2017 in Chengdu, China of the International Academy for Systems and Cybernetic Sciences where the IASCYS President usefully pointed out the desire to examine the “effect that a theory has on the system observed.” If you control the conceptual framework of a student or adult citizen’s mind, you control the theories they will use to perceive and interpret the world. Very handy for anyone seeking to reject the status quo in terms of political, economic, and social structures. Suddenly, science needs to shift to include purposeful systems and education needs to shift to control the purpose of human systems. In a Newtonian, transmission of knowledge world via textbooks or lecture, “scientific theories do not alter” the physical structure of the world and how it operates or can be made to operate. “Theories do not change the way that nature works…But theories of social systems are constructed in the hope that theories will guide actions that will change the way social systems operate. There is a dialogue between theories and societies.” If theories are to be introduced via public policy think tanks and a new vision of the law to transform social and political institutions and practices and economic structures and activities, controlling the human conceptual system turns out to be the foundation for making the change without overt coercion. IASCYS is a cybernetics honor society that features many names we have stumbled over in education plans such as Ervin Laszlo, Mary Catherine Bateson who was at the 1987 World Order Models Project meeting in Moscow (her dad Gregory Bateson coined the term ‘framing’ back in 1972 in his Ecology of the Mind), Ernest von Glasersfeld of constructivist math fame (covered in Chapter 3 of CtD), and George Soros, international mischief maker. If the President of that society on one of his last slides stated that “If Cybernetics is seen as a theory of experimentation and reform in social systems, it will connect the earlier work in cybernetics with political reform and the evolution of society,” then we have powerful people wanting to use the mind’s conceptions to change how the world works. They can do that if education targets people’s goals and purpose by altering how they make sense of the world. According to educational theorist and cognitive scientist Derek Cabrera, students should be encouraged to consider distinctions, systems, relationships, and perspectives (DSRP). By considering the common properties of complex systems, learners can apply this approach to view more traditional disciplines from a modern, systems perspective. all human and group identity is derivative of the aggregation of conceptual systems for the individual or group. In other words, humankind is what it thinks either alone or in groups or sub-groups…In general, human beings are not irreparably divided by biology or geography, but instead by their conceptual systems…What causes humans to be incompatible are their conceptual systems in the form of beliefs, ideologies, ideas, and assumptions. It’s not just CCR advocating this type of thinking, the website features school systems touting his Systems Thinking Made Easy “will transform your school district” and that “Developing every child into a systems thinker is an ethical imperative.” If that is not alarming enough, we have a closing quote around “developing shared consciousness across the district.” How very comradely. Cabrera did rather betray the transformational intention by admitting that “DSRP also provides a mechanism for the memetic behavior that must exist in order for evolutionary epistemology to be a viable proposal.” In other words, a transmission of knowledge curriculum does not force the needed change in worldview and daily behaviors desired for the Inclusive, Equitable, Transformative vision all these education reforms and new ways of thinking are tied to. To add to the global push for these changes I found this https://www.emeraldinsight.com/doi/pdfplus/10.1108/K-03-2017-0120 showing the Russian Science Foundation’s current interest in this kind of conceptual, 3rd order cybernetics. Finally, school districts may be imposing Cabrera’s DSRP, but Cornell Policy Review clearly shows it is a university level textbook intended for public policy coursework. Two purposes in social science achieved with one book. Changing the conceptual mind’s function via K-12, and also using it to credential in higher ed so that students can go to work for think tanks, philanthropy, governments at every level, or even run for office implementing these theories in the real world. Practically a blank canvas is another way to put that aspiration. Just the vehicle for DJEM–Designed Joint Engagements with Media. Fascinating admission, isn’t it? It shows how an overarching political and social transformation vision can be translated into an article of faith and what it means to adhere to a particular tradition. Both universal and personalized. It gets at that level of inner transformation that could become an invisible serf’s collar. Now let’s shift to an even more revealing book from 2000 called The Ambiguous Embrace that is dedicated to “those in faith-based schools, social agencies, and other organizations who provide loving care with high expectations, in the name of a loving and righteous God.” The book was financed by the same Bradley Foundation that financed so much of the faith-based agenda in the 90s, the New Citizenship Project, the Council on Civil Society, Hardwired to Connect and so much else we have covered in 2017. Bradley is also the chief funder of the School Choice agenda and, in my personal experience, invariably tied to people misleading the public about the Common Core, social and emotional learning, and competency-based education. The Ambiguous Embrace provided insights into why all those potential tools in education for inner transformation work more effectively if no one much accurately understands their true function. The Foreword laid out that “throughout the Western world it has become clear that the modern welfare state…must be modified if it is to continue being affordable. A very plausible formula for such a modification has suggested that functions of the welfare state (including education) should be devolved onto institutions of civil society.” When I read this morning in a weekly newsletter from a state public policy think tank that more than 80% of the relief aid that had already reached hurricane victims was delivered via faith-based organizations that is cheerleading for this vision. After this past week I am all for that aid. Here’s the part that gets left out and may be the reason for all the deceit. Hopefully the vision being instilled will be a good driver of future behavior because Habits of Mind and complained about personality manipulation can barely hold a candle to an expressed aim that “intends to inform and form the very being of their students, to mold their identity and agency–who they are and how they live.” That passage was talking about a Catholic high school, but the goals of education are not really different than what public schools are doing now in the name of personalized or competency learning according to this recent post http://www.gettingsmart.com/2017/08/creating-change-agents-the-intersection-of-critical-thinking-and-student-agency/ That book passage also wanted to make students into “responsible decision-makers” so maybe the point is that all types of education these days are devoted to the formation of students, not just faith-based schools wanting access to taxpayer money. It turns out then that the phrase ‘limited government’ is government being the planner, financer, and steerer of people, society, and economies to see to the “human care of human beings…with government playing a watchdog role on behalf of the vulnerable.” There apparently will be no discussion that we must transition to the MH vision as a matter of indisputable public policy. Transformational education and a new vision of the role of faith is to get at the desired inner transformation without hardly anyone apparently being the wiser. The latter context just happens to be the preconditions for the MH vision. Its 21st century open advocates are all dedicated to what can drive historical change. But we cannot have that debate as we ought to be entitled to as long as everyone pretends that this new vision of education in the 21st Century is about math or how to best teach reading. Let’s debate away now that we have collected a few more pertinent confessions of intent. Sometimes these days I feel like I am a part of that old musical comedy “A Funny Thing Happened on the Way to the Forum,” not because all these machinations via education and deceit are funny, but because suddenly between posts something happens that proves just how correct I am on how this fits together. Last week, the blog Cafe Hayek run by George Mason economic profs mentioned a January 24 piece by “my colleague Peter Boettke on the late economist Kenneth Boulding.” Now that may seem innocuous and even dry, but there cannot be a more seminal person other than John Dewey to the sought transformation of education. Boulding laid out its purpose and how it could be used to control other social systems. Is this further evidence of a Convergence of the Right and Left Pincers we can see so much evidence of? Confessions, after all, are so much nicer. http://www.coordinationproblem.org/2017/01/kenneth-boulding-on-the-task-of-interpretation.html is the post and it tied in my mind to why everyone suddenly wants education to be about moral values, guiding principles, Disciplinary Core Ideas, Classical Concepts, and other ideas first that can then guide a child’s perception. How they interpret their daily experiences and what they never even notice. This is the end of the Trilogy so let’s pull all this together so we can appreciate How to Invisibly Control Future Personal Decision-making with No Need to Admit It. Bolding (without the ‘u’) is mine. “Themes without facts may be barren, but facts without theories are meaningless. It is only ‘theory’–i.e., a body of principles–which enables us to approach the bewildering complexity and chaos of fact, select the facts significant for our purposes and interpret the significance. When I was a student, part of what made for A+ work was the ability to develop an appropriate scheme of interpretation by myself, in the privacy of my mind, using what I saw as the pertinent facts. Something that made the prof go “That’s it! Wish I had expressed it that way.” This is something else. These are essentially presupplied ‘constructs’ designed to guide perception and future action in a way that makes a person likely to desire and instigate transformational change in the circumstances we all live under. If they cannot do it, they can organize together so politicians will implement the changes. That’s why I created the term Politicalism. What Boulding was known for was “incorporating the ideas, concepts and tools from the natural sciences into social scientific analysis.” Why? That overdone analogy to the ‘outmoded factory model of education’ is actually a cloaking metaphor to mask this complete change in the purpose of education that drove the education reforms in the 60s, 80s, and now covered in my book Credentialed to Destroy. It’s also why Tranzi OBE and Competency needed to be deliberately misdefined as we saw in the last post. Why do we keep coming across an emphasis on Character or Moral Dispositions and Attributes? Because social and political scientists like Boulding came to recognize “that the universe of ethical values is a driving force in human life” and can be altered to drive a transformation in what is acceptable in the future. That’s such a useful quote for anyone who wonders why I cannot stick to just writing about education. Because it’s a tool to a transformation for a different purpose and a new, unlikely to succeed well for most of us, vision of the future. When should we talk about it? After the carnage is more advanced and even more resources depleted in the name of education? I am going to shift away from Boulding for a moment, but his vision was covered in the Trilogy begun here with his book The Meaning of the 20th Century and its effect on the Commission on the Year 2000 covered in the post that followed. Rereading those yesterday almost took my breath away because it fits so closely with what was in the Roadmap for the Next Administration and the Architecture of Innovation on what data can be made to now do. This post’s title comes from a book Robert George–Princeton professor, Bradley Foundation board member, well-known spokesperson for Catholicism, and founder of the same American Principles Project that did not want to define certain terms accurately in the last post, wrote in 1993. If ‘common guiding principles’ and shared meanings are in fact what makes people and organizations act as ‘systems’ as Boulding and systems science generally believed, it makes perfect sense not to concede that is what ALL Competency-based education reforms, and what I nicknamed Tranzi OBE, are about. The aims are no different then from the Catholic Curriculum Framework although some of the offered concepts, principles, and the justifications for the changes may differ. Like Boulding in the quote Boettke chose or in my quotes from his 1969 AEA address, George in his making men moral: Civil Liberties and Public Morality wanted education to provide “first principles of practical reason…to guide choice and action.” Fascinating, huh? Everybody seems to want to carve that rudder that will guide future decision-making without being forthright on the connection. All we get are School Choice!, Federal Misedukation, and Autonomy to the Locals and parents. Some autonomy as both education and “laws have a legitimate subsidiary role to play in helping people to make themselves moral.” Then sell it to parents that way and admit Classical Education IS designed to create a steerable rudder both parents and students are not being told about. Character is a wonderful thing, but not when it operates at an unconscious level as a Habit of Mind and parents are not told that their children are being steered in the name of Goodness. Truth. and Beauty or Equity and Justice or Sustainability or other Guiding Principles to guide practical reason and likely future action. The same Spiritual and Moral Framework that can be used by New Agers like the Ross School from the last post or Social Justice Warriors grounded in Paulo Freire Pedagogy for the Oppressed aligns with the aim of instilled Knowledge, Skills, and Dispositions from the Catholic Curriculum Frameworks. They ALL want to provide the ideas, emotional motivations, and values students internalize as their guide to future decision-making. School now wants to provide their purpose for living and the vision of what the future might be. To truly get the dangers of this personalized, student-centered, transformative vision of education perhaps it will help if we follow those Moral and Spiritual Frameworks (as well as the cited Ron Miller’s “What are Schools For?”) right straight to a School of Education and Psychology in Isfahan, Iran. If “Holistic Education: An Approach for 21st Century” from 2011 is okay with the mullahs and their tyrannical vision of people, we really need to quit using the word ‘autonomy’ to describe the student when this vision of education is through with them. Yes, they have a purpose, but is it really theirs? I will quote from the Abstract because it fits with the vision I have described in this Trilogy. Think of the implications of that. “Holistic education encompasses a wide range of philosophical orientations and pedagogical practices. Its focus is on wholeness, and it attempts to avoid excluding any significant aspects of the human experience. It is an eclectic and inclusive movement whose main characteristic is that educational experiences foster a less materialistic and more spiritual worldview along with more dynamic and holistic views of reality. Doesn’t that life experience/basic skills distinction sound just like the erroneous definition of Competency from the last post? Isn’t the US goal of College and Career Ready just another euphemism for this holistic life experience vision that seeks to control what gets internalized to guide the adults our children will become? How is it not authoritarian for any government at any level to make education holistic or integrative using those aims? How on Earth can this really be “education for humanity” when the type of human we become is subject to undisclosed political control? Before I turn the term-Politicalism-into the most apt metaphor since Axemakers Mind for describing the true intent behind K-12 education reforms, let me offer up some timely quotes on controlling consciousness. The first is from a December 20, 2016 report called “Behavioural Insights at the United Nations–Achieving Agenda 2030.” I will be bolding or italicizing the passages or phrases I most want everyone to remember. If that seems vague please search out the papers on Equity and Empowerment Lenses from Multnomah County, Oregon that public health policymakers are now quietly nationalizing. Many of the links are in the most recent comments to the previous post. Finally, we have a quote from a 2013 edition of the book Violence and Social Orders: A Conceptual Framework for Interpreting Recorded Human History. Before I get to that, I want to reiterate how I research at this point in my work. So the Hoover Institution behind the Koret Task Force and what I regard as an attempt to create a deceptive narrative around the Common Core in the 2011 paper Closing the Door on Innovation, which is also one of the named partners in the PEPG–Program on Education Policy and Governance at the Kennedy School of Government we have covered, wanted this new framework. And the Bradley Foundation behind that concept-based approach to History from the 80s that also finances PEPG’s publication Education Next and many of the think tanks and other entities pushing School Choice and that owns the book publisher, Encounter Books, financed the framework. Let’s take a look at what it aims at. In the chapter entitled “A New Research Agenda for the Social Sciences,” we find an explanation for what I keep finding when I dig behind the facade of the ‘School Choice’ slogan. So we know that both Hoover and the Bradley Foundation are quite interested in consciousness, how it works, and its use for examining and driving cultural change. Before I get to one more quote, let me go ahead and define Politicalism. Politicalism is how politicians at all levels of government, public policy think tanks across the spectrum, academics, and others believe they can use the law and education to force the transformation by 2030 to what Marx called his Human Development Society where human needs are supposedly met. Politicalism feels empowered to ignore the prohibitions of the First Amendment where governments are rarely allowed to restrict speech and go straight ahead to restricting thought by using education reforms to control consciousness. That’s why the phrase ‘decisionmaking’ just keeps coming up. In other words, institutions are not necessarily physical things, but also the values, attitudes, beliefs, ethics, ideas and concepts, and desired behavioral norms we have come now to associate with social emotional learning or Positive School Climate, for example. Anyone sensing why a Bradley Foundation funded think tank would want to misrepresent targeting these areas that govern future action and decisionmaking and pretend it’s about Personally Identifiable Information or a Student Unit Record controversy? Before we leave that book, there was a statement that “we do not have a general theory of belief formation and human cognition,” which strikes me as absolutely not true. If it is technically true, go have lunch with your colleagues at CASBS in Palo Alto or the MBE professors at the ed school at Harvard or the constructionists in the AI work or Media Lab at MIT. They certainly do. That would explain why so much of the actual research at Stanford, MIT, Harvard, and other places goes to using education to influence both those aspects of beliefs. The new federal education legislation, ESSA, even calls for assessing for this at least annually. Note that changing these beliefs or any of the other internalized bases for decisionmaking is what is now called Learning. The reason Learning must be standardized, monitored, and regulated by governments is to get to a broader vision of how society and its people and their relationships are to be structured (both the regulation of Learning and the restructuring and planning are covered by the term-Politicalism). As far as I can tell then all these changes started by President Obama that Hillary Clinton would have continued are still to roll along under President Trump unless he and all his appointees know of their existence and how they work. They simply cannot rely on anyone in Congress to tell them because they benefit from all this intended geographic redistribution and mayors, governors, or school boards will not tell either. The think tanks all seem to think pushing this while misrepresenting it to their readers and petty amount donors is why they exist. It is up to each of us to appreciate that Politicalism targets all these different levels and sectors of society, down to the neural networks and emotions internalized in our students. Anything that an individual uses, consciously or unconsciously for decisionmaking, is regarded under Politicalism as fair game for manipulation and monitoring. Because the vision of Equity and Empowerment for ALL apparently justifies even the most Preemptive Authoritarianism. Let me end with a tip to Ms DeVos after yesterday’s testimony. Please read up on Teaching for Competence and Teaching for Growth. When you said you were not familiar with either, you were saying you are unaware of the very tools being used to control and monitor what students internalize as the basis for decisionmaking. If everyone involved in education policymaking wants to target consciousness, best to know now the how and why. Also, please be careful about throwing out Local Control as the panacea. That would be the Briar Patch in our Glocal, Community Solutions Council world, under Politicalism. I almost added “21st Century” to Brains in the title, but it made it too long. Please do me a favor though. Every time a politician or anyone else mentions the need to transform K-12 education because the current vision is based on an outdated factory model, or any other justifying statement, to mask what is in fact a desire to control how our minds work for political purposes, remember this post. If anyone was worried I was missing in action or had finally decided to simply shut up about the real intentions behind education reforms, no such luck. Some posts though have no business being written during the traditional period of joyful merrymaking and family gathering. With the confirmation hearings for the proposed new Education Secretary, Betsy DeVos, being in two days and her repeated statements and connections tying her vision to what I am about to lay out, it is time to get going again. It’s about redesigning existing institutions and systems via changes in how the student’s mind works and what motivates him or her to act. 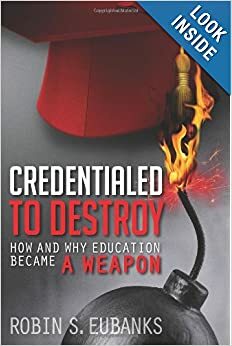 No wonder there has been so much deceit around education reform and a desire to pilfer from my book Credentialed to Destroy, while also repressing its central insights. Let’s go over the Atlantic to see what the UK meant by “high standards” and “raising standards” in the early 90s. Instead of using the graphic term “brain-based” changes to the neocortex, we get regular references to altering how the “central cognitive processor” or the “central processing mechanism of the mind” works. No mention that this physical target belongs to someone’s children. Apparently though we no longer have a say in that fundamental arena of what it means to be human. That article mentioned that one of the funded research grants had gone to a Professor Nikolas Rose. A little research uncovered a 2013 book of his published by Princeton called Neuro: The New Brain Sciences and the Management of the Mind. My copy showed up just in time to be read while I ate my good luck black-eyed peas, which I knew would be especially needed this year with the book’s ubiquitous references to “governing through the brain.” The planned and taxpayer-financed “conversations between the social sciences [like education] and the neurosciences may, in short, enable us to begin to construct a very different idea of the human person, human societies, and human freedom” ought to be something discussed openly with taxpayers and parents. “Acting on our brains,” “this new topography of the human being,” and the touted “passage of neuroscience from the seclusion of the laboratory to the unruly everyday world, and the new styles of thought concerning the intelligible, visible, mutable, and tractable brain that characterize the new brain sciences are beginning to reshape the ways in which human beings, at least in advanced liberal societies, are governed by others” should all be front and center for discussion in a free society. Instead, we get the deceit surrounding the real purpose of School Choice and misrepresentations on what competency-based education is really intended to modify and change. Back in December, Jeb Bush had the Director of the Mind, Brain, and Education (MBE) Program at Harvard as one of the keynote speakers at his annual summit, sponsored by his foundation (that Mrs DeVos was on the Board of prior to her nomination). I happen to have a copy of an MBE philosophical paper downloaded from Harvard’s website on the morality of the MBE methods and theories. It calls for public debates on the “ethical limits that should be placed on use of biological and psychological technologies in education” and the “kinds of communities and individuals that ought to be fostered.” That Bush foundation states that competency-based education, School Choice, and educational technology are its priorities. Which of these does MBE relate to then or is it all of them is a fair question to ask a Board member at the time the invitation to speak went out. That cannot happen though because of all the organized misrepresentations that have surrounded learning standards like the Common Core, what its true purposes and history are, or what practices get hidden behind titles like School Choice, high-quality assessments, charters, or classical education. We went back in time and overseas precisely because I wanted to show that this shrouded neurobiological bullseye that the law and ‘public policy’ seeks to invisibly impose is both global and longstanding. “Lastly, we must fundamentally change the way we think about education and its role in human wellbeing and global development. Now, more than ever, education has a responsibility to foster the right type of skills, attitudes and behavior that will lead to sustainable and inclusive growth.” That openly declared repurposing of education cannot be discussed when a false narrative pretends that School Choice and competency-based education does not have the precise same aim. Did you know that the term Neuroethics does not necessarily mean the ethics of using a transformational vision of education to redesign how the mind work and then lock it in biologically? It actually also means how to use Neuroscience and brain-based to impose an internalized ethical vision that puts the so-called common good and responsibility for others above individual choices. Isn’t that something that should at least be discussed if we are still in fact a free society? Is the vision of the future that Marx called the Human Development Society really something that deceitfully imposed educational changes and legislation and regulation can impose as long as the enacters are “duly elected” or appointed? Is my term “Preemptive Authoritarianism” just a pithy way of getting attention or the biggest understatement so far in 2017?